Podpeč pri Šentvidu (pronounced [pɔtˈpeːtʃ pɾi ʃɛnˈtʋiːdu] or [pɔtˈpeːtʃ pɾi ʃənˈtʋiːdu]) is a settlement just east of Šentvid pri Planini in the Municipality of Šentjur in eastern Slovenia. 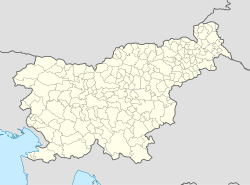 The area is part of the traditional region of Styria and is now included in the Savinja Statistical Region. The name of the settlement was changed from Podpeč to Podpeč pri Šentvidu in 1953. This page was last edited on 26 March 2018, at 23:42 (UTC).